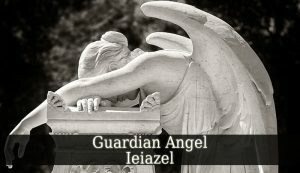 Guardian Angel Ieiazel – also known as the angel of consolation. Firstly, his name means “God Who Delights Every Living Thing”. In Judaism, Guardian Angel Ieiazel is a Seraph. Therefore, his superior is Archangel Kamael. On the other hand, in Christianity, he is a Virtue. So, his supervisor is Archangel Haniel. Guardian Angel Ieiazel is the divine angel of consolation. He brings gratitude and appreciation into your life. Also, he brings consolation. And respect for the process of renewal. 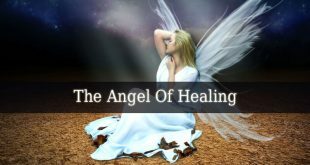 Ieiazel can help us in healing from addictions and obsessive behaviors. And addiction can be material, emotional, mental and even spiritual. But Ieiazel also prevents emotional outbursts. And helps you to end difficult periods in your life. Therefore, he brings easier periods. That are full of love and gratitude. But he also brings rejoice. And he re-establishes peace and harmony. He protects creators and innovators. But is also the patron of writing, reading, libraries, music, panting and arts. Ieiazel teaches is you how to control your passion. Therefore, you will learn how to control your behavior and emotions in difficult situations. The days between October 09 and October 13 represent the influential period of Guardian Angel Ieiazel. Therefore, if you were born in this period, then your divine protector is the angel of consolation. So, you love study. And reading is your passion. You always learn new things. Due to your enormous curiosity, you will gather knowledge about every aspect of the earthly life. This huge amount of knowledge brings you self-confident. But you also love to help others. And it is very hard for you to say no to someone. But love is the most important aspect of your life. Therefore, when you will meet your soulmate for the first time, you will recognize him/her. And you will marry him/her without hesitation. And only because of pure love. But this love is not for material things. Therefore, money is not important for you. And you are more attached to non-material things. So, your spiritual powers, such as intuition, are more powerful. Often you choose to listen to your intuition , instead of pure logic. You are on Earth to help others. This is the purpose of your life. You transmit your rich knowledge to others. And they will respect you deeply for that.